The tram shuddered to a stop in front of a long, low, beige-brick building. 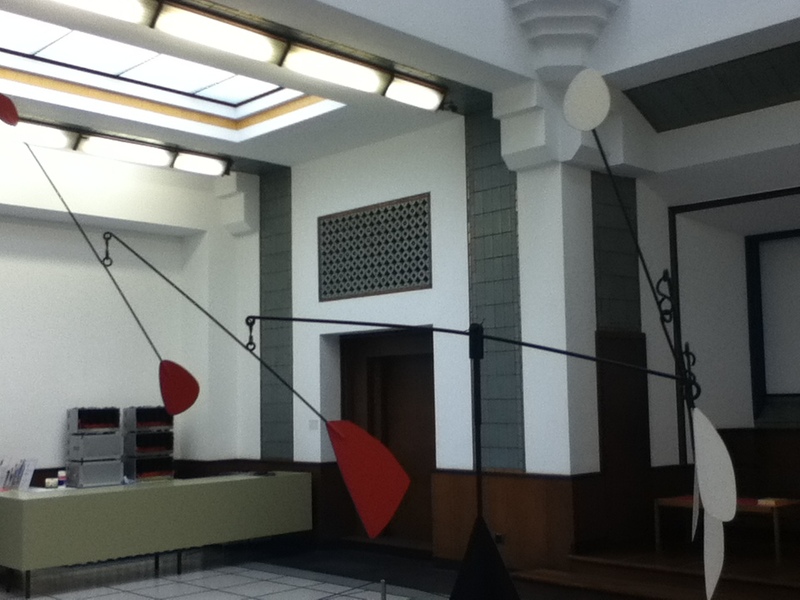 We’d arrived at the Gemeentemuseum, in the suburbs of the Hague, for a ‘night at the museum’. Better termed an evening at the museum, this was an event advertised for the large expat population in the Hague, and was a chance to go around the collections without the crowds of visitors that tend to swarm around the many galleries and museums of the city. We’d bought tickets in advance, lured by the temporary presence of the famous Vermeer painting, the Girl with the Pearl Earring. 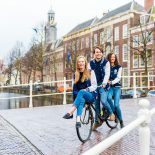 The advert also said ‘nibbles and wine, and fine jewellery’, so we’d pictured ourselves, strolling between Dutch Masters, sipping wine, eating canapes and generally pretending that we were ‘genuine’ expats, rather than students taking advantage of the free food and drink. What we actually encountered was rather different. I took a look around at the Bang Olufsen stereo display, the Rolex watches in their reinforced cases, and the 300EUR dresses on a clothes rack next to a table ful of hideous – and hideously expensive – looking jewellery, and decided that rather than getting into an art museum (the upstairs was still closed when we arrived). I’d bought a ticket to the most expensive pop-up stall in the world. In stark contrast, the functionality of the surroundings was what a friend picked up on her first impressions – ‘it looks like an 80 swimming pool,’ she said. ‘you know, those horrible places we were forced to have swimming lessons from failed athletes.’ And to an extent, she was correct. The 1930s floor-to-ceiling tilework, in faded greens, browns, and oranges, and the rigid straight lines of the late art-deco period did, in addition to the somewhat overpowering whiff of chlorine cleaning solution, conjure up memories of near-drowning, while the instructor tells you that struggling means you’re making progress. Floor-to-ceiling tiling should be consigned to bathrooms. Not museums. However, if I was to enjoy the evening, all aquatic bad memories had to be banished. And what better way to do that than to be introduced to a wide variety of sparkling wines, each accompanied by their designated cheese. Led to the table by a friend who can sniff out alcohol (especially free alcohol) from a mile away, we were treated to fizzy pop from Australia, Italy, and somewhere else, the details of which escape me. The next table offered yet more culinary excellence, with plates of pasta in a delicious truffle sauce being handed out accompanied by a very sweet port. We’d been feeling a little bit out of place amongst the well-to-do crowd as it was, but that feeling was certainly confirmed by the looks we got when deciding to shot the port, rather than sip it in a genteel fashion. These glares were nothing compared to those given to the chap who’d come along with us, when the proprietors of the stand asked him to stop consuming the cheese, nuts and fruit that lined the table, as he was ‘eating the display’… Whoops. 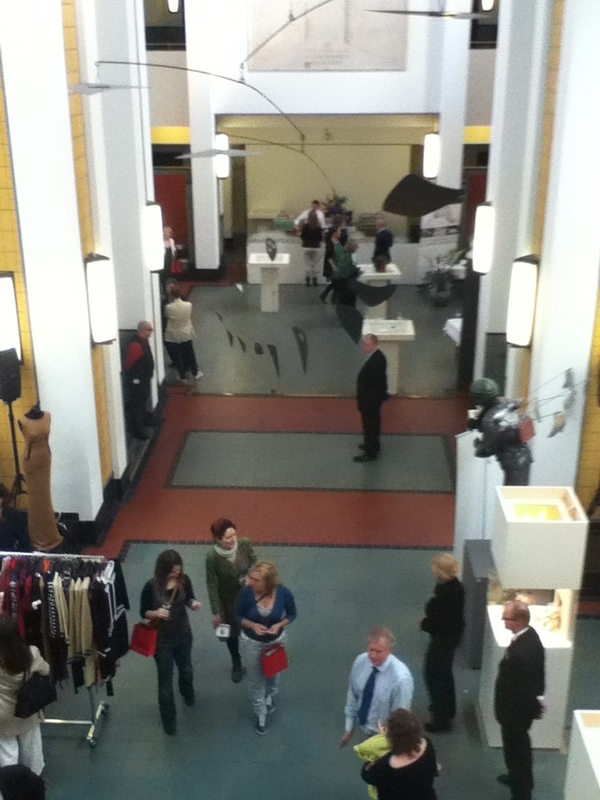 Our time in the pop-up store over, we found that the galleries upstairs had opened, and the Vermeer was waiting for us. And so was the security guard, who followed the four of us into each and every room of the exhibition. He was, in fairness, trying to be inconspicuous, but at 6ft6 and ginger, it was a fruitless effort. Whilst the guard was inherently noticeable, the painting that we’d arrived to see was almost entirely missable. It’s a very small canvas in a heavy-looking frame, and were it not for the fact that it had a whole wall to itself, the ‘oriental girl in a turban’ after whom the film was named would have been overlooked, lost amongst the myriad seascapes and paintings of canals. It’s a very fine painting, and I’m sure some arty-type could tell what would undoubtedly be a fascinating, but mythical, back-story, but for me, it was one of Vermeer’s other paintings that stole the show. His View of Delft, with its stunning use of contrast and colours that makes the scene seem alive, really caught me by surprise. The picture below doesn’t really do it justice – the lighter areas of the painting really seem to shine. Aside from that, it is about ten times bigger than the Girl with the Pearl Earring, and one hundred times more interesting. 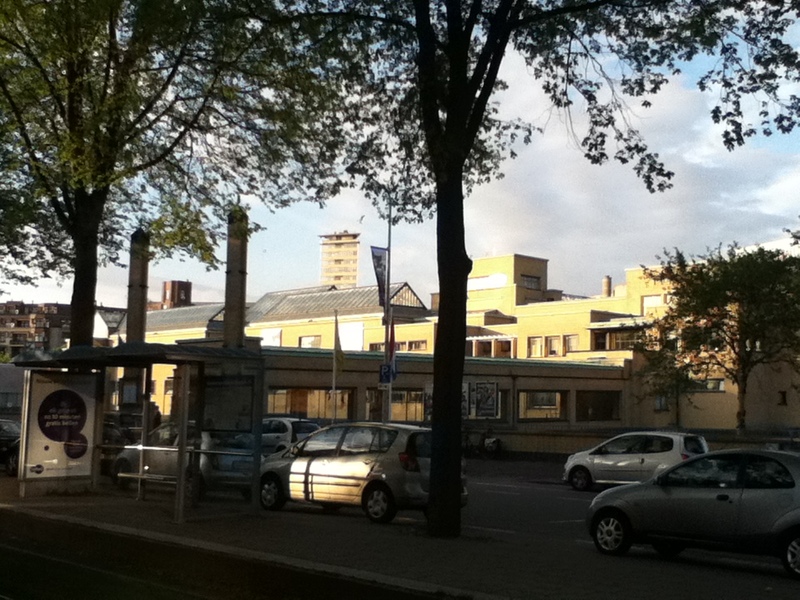 This entry was posted on May 19, 2012 by admin@theleidener in Culture, Laurence.